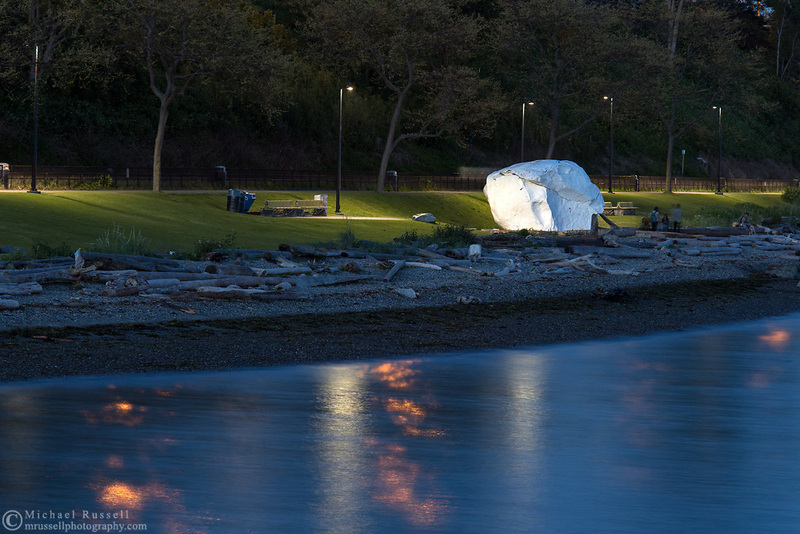 The historic white rock of White Rock Beach. Photographed from the White Rock pier in White Rock, British Columbia, Canada. The White Rock is a 486-ton granite boulder that was left by a retreating glacier (glacial erratic). The rock was once used as a navigational aide for boats as it was covered in seabird guano though now it is covered in white paint instead.